Pictures of Mazar e Mubarak of Hazrat Haji Hafiz Qamar ud din Chishti Sabri Meeruthi R.A., who came to Pakistan after Partition as advised by his sufi teacher (Pir). He is from the sufi order of Hazrat Shah Khamosh Hyderabadi R.A. of Hyderabad Deccan. He did parda in 1999 in Rawalpindi. He is the most renowned sufi amonst Chishti Sabri sufi order. Mazar Mubarak is on Chakri Road, Rawalpindi. As the years passed, Rumi attributed more and more of his own poetry to Hazrat Shams-e-Tabrizi(raz), as a sign of love for his departed friend and master. Indeed, it quickly becomes clear in reading Rumi that Hazrat Shams-e-Tabrizi(raz), was elevated to a symbol of God's love for mankind, and that Hazrat Shams-e-Tabrizi(raz), was a sun ("Shams" is Arabic for "sun") shining the Light of God on Rumi. The image of Hazrat Shams-e-Tabrizi(raz), that is transmitted in the later Sufi tradition is that of an ecstatic wandering mystic who becomes the theophanic teacher for Rumi. While the relationship between Rumi and Hazrat Shams-e-Tabrizi(raz), is certainly among the most refined in the history of Islamic mysticism, the person of Shams differs from the image that is projected on him. In the Maqalat of Shams (oral discourses) which have now been transmitted, Hazrat Shams-e-Tabrizi(raz), comes across as a learned scholar who was particularly interested in demonstrating his devotion to the Prophet Muhammad (S). He repeatedly criticizes philosophers and other mystics who sought to elevate themselves over the Prophet of Islam. In the comtemporary period of Shams Tabrezi, there is a confusion on the name "Shams" as there were three personalities existing at the same time. These was Shams Tabrezi, Ismaili Pir (Dai )Shams Sabzwari and Ismaili Imam Shamsuddin. 1) Once while Maulana Jalalluddin Rumi (rah) was teaching his pupils in the open courtyard, next to a fountain, a shabbily externally dressed but perfectly internally adorned Sufi, Hazrat Shams-e-Tabrizi(raz), came to their assembly and watched them. He saw Maulana Rumi referring to numerous handwritten books in the course of his teaching. Hazrat Shams-e-Tabrizi(raz), asked Maulana Jalalluddin Rumi (rah) as to what was in the books. Maulana Jalalluddin Rumi (rah) replied, "O! Sufi. This contains knowledge that is beyond your understanding so you continue to read your rosary (tasbih)." Unnoticed by Rumi, Hazrath Shams Tabrez (raz) threw all the books into the pond of water. When Maulana Rumi's(rah) students saw what occurred they began beating Hazrath Shams Tabrez (raz). This and the screams of Shams Tabrez (raz) alerted Maulana Rumi(rah) as to what occurred. He complained that all his valuable knowledge had been destroyed. Hazrat Shams Tabrez (raz) said; "Tell your pupils to leave me alone and I will give back your books." A visibly dejected Rumi conceded to the request thinking that this was impossible. He was surprised to see Shams Tabrez (May Allah be well pleased with him), recite bismillah, lift the drenched books from the pond, blew dust of them and returned them to him intact. He asked Shams Tabrez (raz) as to how he did this. Hazrat Shams Tabrez (raz) replied, "This knowledge is beyond your understanding so you continue to teach your pupils." Maulana Jalalluddin Rumi (rah) fell at his feet and was swept into the currents of love. The presence of this ragged Sufi, Hazrat Shams Tabrez (raz), changed Maulana Jalalluddin Rumi (rah) from a respected professor of theology into a lover of God, one who summed up his whole life with the phrase, "I burnt, and I burnt, and I burnt." 2) Once there was a king who was non muslim his child died due to some illness, the king felt very unable on seeing the death of his child he told his handeler that how to get the life of his child back, the handler told the king that it is only possible by a muslim man with the Aayats(holy versues) of the Holy Quran they can bring back the dead ones, on hearing this the king announced in the whole kingdom to gather all the great muslims people having knowledge of the Holy Quran, as said by the king the Scholars were gathered Maulna Rumi(rah) was also there he was the head of all Islamic scholars, when the king told the matter to Maulna Rumi(rah) about giving life to his child who was dead by reading the aayats( holy verses) from the Holy Quran, on hearing this Maulna Rumi(rah) was completely shock how could he give life to his son who is already dead, life and death is in the hands of Allah, on this note the king enquired that whether there are aayats(holy verses) in the Holy Quran which can bring back the dead ones, Maulna Rumi(rah) replied yes there are but we are not that people who are blessed with that knowledge we only have the zahari (external) knowledge of the holy Quran but the Baatani (Internal) Knowledge are with very special servant of Allah, if they want they can bring back the life of his son, on hearing this the king told to hunt for the man posseing this knowledge otherwise all the scholars will be killed, on hearing this all the scholars were shocked and they were thinking from where they will get this type of man. Kumbe- iznil-lah which means come to life by the order of Allah but the child was unable to come to life he once again repeated Kumbe- iznil-laah which means come to life by the order of Allah but the same thing happened the child was unable to move, then in anger Hazrat Shams-e-Tabrizi(raz), said Kumbe-izni which means come to life by my order, as soon as he said these verses the boy came to life, every body was shocked to se this miracle, the king felt very happy and converted to islam, but the scholars of islam could not withstand this, how can a man can compare himself with Allah, and use this type of words this is complete against the law of sharah(Shariyat), due to which Hazrat Shams-e-Tabrizi(raz) has to shed his skin completely the executor could not do it, Hazrat Shams-e-Tabrizi(raz) himself just by a pinch removed his skin and gave to the scholars, and told Maulna Rumi(rah) that see what he said to him in the jungle is done know, on hearing this Maulna Rumi(rah) felt very ashamed. Hazrat Shams-e-Tabrizi(raz) left the place trusting in Allah, Hazrat Shams-e-Tabrizi(raz) was on Bakabillaah stage this is a place where you are directly connected to Allah and the noor-e-ilahi totally gets submerged into you, this is the time when Allah becomes your hands, your ears, yours eyes, yours legs, each and every part of the body becomes Allah. When this time come the tounge is yours but the words are of Allah. 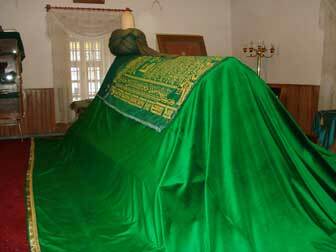 This was the stage which Hazrat Shams-e-Tabrizi(raz) was given by Allah. After the removal of the skin Hazrat Shams-e-Tabrizi(raz) started looking very ugly, once he felt very hungry so he went outside asking for food, but nobody gave any thing to him he was feeling very hungry and the thurst for food was unbarable, after trying for a while a man gave him a loaf of un cooked meat some peole also says fish Allah knows the best, but as the food was not cooked how can he eat he requested many people to roast his meat or fish but due to his ugly look no one wanted to see him how can any one cook the meat or fish for him, after stiving here and there he was un able to cook the meat or fish, then in anger he looked up and told the sun to come down so that he can cook his meat or fish, and as he said this the sun realy came down, and people says that it was as if qayamat(the day of judgement) has come, the temperature was highly raised making the people totally unconfartable. There are many more miracles performed by Hazrat Shams-e-Tabrizi(raz), I can get much of this bakamaal buzurg the little which I can gather is in front of you people. Shrine- Jamal-ud-Din Syed "Shah Yousaf Gardez"
Shrine-Abu Hassan Hafiz Jamal-ud-din "Musa Pak Shaheed"
Shams-i Tabriz was, without doubt, a no ordinary person. He had studied Quran and jurisprudence with his father and uncle, both accomplished Jurists, very early in life. He was sent to Tabriz to seek further knowledge. He studied various sciences with Abubakar Sanjasi Tabrizi, a reknown mystic teacher of Najmuddin Kubra order. When Shams-i Tabriz demonstrated his interest in learning the esoteric and the metaphysical, he recommended that he would go to a master teacher, Kamal Jundi. Shams Tabriz who had an innate and inborn gift for the metaphysical accomplished himself as a master within a relatively short period. He was certified by Kamal Jundi as a master himself and was cautioned that he would stay away from the odinary and the mundane and that one day he will meet with someone who will act as his mouthpiece and speak to the world on his behalf. He was however told that he had to wait until his future student was ready to receive from him the promised gift. He was also advised by his master to stay away from the sufis as well as the faqihs (religious scholars) which he did. Always traveling from place to place (he was called parinda or flying bird for hat reason), Shams would show up at times at the seminaries and madrisas, however, without revealing his credentials. He disliked the mystics because they had given up the Shari'a (practice). He detested faqihs (scholars) because they indulged in useless polemics and diatribes. He avoided staying at the seminaries and khankahs. Instead he stayed at the Traders inns, showing himself as a traveling salesman. He ate very little. An occasional meal (bread and soup) would be enough for days. He virtually starved his body, as if saying no to his self. In return, he received the uncanny gift of knowing the other person's mind, predicting the events, even transferring himself from one place to another (ta'y ardh ). He was capable of doing things that seemed extra-ordinary, uncanny or supernatural to an undiscerning eye. He kept it however from the ordinary people. Rumi saw it when Shams threw his hand-written manuscripts in the water, then taking them out, dry and intact, with no sign of water on the pages. This was no magic or illusion; this was a God-given gift. In Quran, God says " Kun Fa ya Koon ". (We say, Be and it is). It is said that God lends His power or phenomenon of immediate Being to his chosen people, such as Prohets or Saints. Some people are born with these gifts, in varying degrees ( they may not even be aware of their hidden potential) while others can get there through personal struggle to get close to God ( taqarrub or salook). It is the human journey from fana to baqa. You give up your ' self ' to be one with the Ultimate. Shams-I Tabriz was born with the gift and he perfected it through suffering his self. He recognized it early on in his childhod, according to his own admission in the Maqalat ( an authentic record of his conversation with Rumi, recoded in Sultan Vald's hand. He did not lose any time to perfect the gift of the esoteric in him. Finally, as predicted by his teacher Kamal Jundi, the flowering of Sham's gift took place and manifested itself in his counterpart, Jalal uddin Rumi. Shams was able to transfer, his knowledge and wisdom onto Rumi in a rather mysterious manner. Rumi has repeatedly said in his Mathnavi and Divan that it was not him but Shams talking through him. That is why he did not use his name in any of the verses out of more than 50,000 verses that he left behind. Rumi ends most of his poems with the name of Shams of Tabriz. In so long as this phenomenon of transfer of souls had never been witnessed before nor did it happen again in the annals of history, it makes the story of these two oceans unique and one of its own kind. 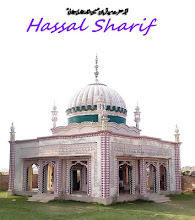 Hassal Sharif is situated in Union Council Jatil. This is oldest village in this area. This village was founded by Syed Said Muhammad Bukhari and Syed Taj Muhammad Bukhari near about 1550 AD who migrated from Batiot Sharif.Here is the rest place of Syed Qurban Hussain Shah Bukhari served his whole life for Islam. He was a Prominent spirtual personality of a Hussainia jalalia silsila (series). Presently his son Syed Mahmood Ali Shah Bukhari working for Islam. Many non muslim embraced Islam on hands of Syed Mahmood Ali Shah Bukhari after inspiring from Islam.